How interesting it is to see the place of women in England and the colonies during the 1930s. As a world renowned expert on child development, London psychoanalyst Susan Isaacs, a follower of Melanie Klein, was invited to speak at the 1937 New Education Fellowship Conference, an international movement founded by Beatrice Ensor in 1914. A reaction against the boring rote-learning styles of the nineteenth centuries it sought to encourage children find their own path in education. On the antipodean leg of its tour from Europe via America the conference travelled first to New Zealand before embarking on a national tour of Australia in August and September 1937. There was considerable interest in Isaacs from among the women’s movement, a group whose work also supported developments in child guidance and psychology. Unlike the Australian press coverage in which there are few, if any images, New Zealand editors included photographs in their reportage. She was one of two women delegates in a band of 21 who toured Australia and New Zealand: the other was Beatrice Ensor the Fellowship’s founder. Was it possible that she was photographed with the delegates’ wives, because it fitted, somehow, with the way things were done, then. Despite these reservations it means we can images of Isaacs very different from the studio shots featured on the 2009 biography by Philip Graham: Susan Isaacs: A Life Freeing the Minds of Children. Isaacs incorporated Klein’s theories of children’s phantasy life into her work on education and child development. She believed that one could not be a psychoanalyst without such an understanding. Like Melanie Klein and later, D W Winnicott, Isaacs was influenced by the observational work undertaken in the 1920s by Merrell Middlemore, an obstetrician, trained psychoanalyst and member of the British Psychoanalytical Society. Middlemore’s work. ‘The Nursing Couple’ recording closely observed interactions between newborns and their mother in hospital was published in 1941, three years after her sudden death from cardiac failure in 1938. In an interview for the Melanie Klein Trust the late Hannah Segal acknowledges Isaacs’s interpretations of Klein’s work, particularly her seminal paper, ‘The nature and function of phantasy’ published in the International Journal of Psychoanalysis, 29, 1948, 73-97. The New Education Fellowship Conference landed first in New Zealand on 10 July 1937. These were renowned experts, with a few professorships and knighthoods amongst them. The photograph, taken from the New Zealand Herald, 12 July 1937, p.12 is not fully annotated although the image of Susan Isaacs is clearly shown in the top left hand corner photograph. The first photograph on the top left-hand corner shows, L-R: Dr Harold Rugg, Professor of Education, Columbia University, New York; Sir Percy Meadon, Director of Education, Lancashire, UK; Dr Cyril Norwood,President, Sir Johns College, Oxford; Dr Susan Isaacs, Psychoanalyst and Head of Department of Child Development, University of London; Professor De S. Brunner, Professor of Education, Columbia University, Mr G.T. Hankin representing the Board of Education at the University of London; and Mr Laurin Zilliacus from Finland, Chairman of the NEF. The others show delegates doing spot of sight seeing, having lunch and generally socializing. They are rugged up in coats and hats because it was mid winter in the antipodes. It was the way of things that women were treated separately to men. Delegates’ wives were a separate group. Both Susan Isaacs and Beatrice Ensor who founded the NEF in 1914 were included amongst them. The photographs below, from top down show ‘Mrs E Salter Davies’ and ‘Mrs C.M Wilson’. Susan Isaacs is pictured on the lower photograph with ‘Mrs E. de.S. Brunner and ‘Mrs P.L Dengler’. In the lead up to the war the Dengler’s presence created some controversy and tension amongst the delegates: they had come from Vienna in Germany. Isaacs’s lectures drew large audience. The Herald reported that of over 1600 attendees at the entire conference of twenty one delegates, 500 had enrolled for Isaacs’s talks on infancy and the pre-school child. ( NZ Herald 6 July 1937). Likewise in Australia, Isaacs drew large audiences and, in Canberra, spoke at the Albert Hall, introduced by the Governor General’s wife, Lady Whiskard. She was awarded an honorary doctorate by the University of Adelaide. She returned to England where she became more deeply involved in the psychoanalytic movement. She died in 1948 from the cancer she had first developed in 1936. “The Mental Life of Infants” – Dr Susan Isaacs’s Australian Tour, 1937. British Psychoanalyst Susan Isaacs, an associate of Melanie Klein, was one of fourteen international speakers – and one of two women in the list – in the New Education Fellowship Conference which proceeded around Australia from July to September 1937. After a stint in New Zealand, the Congress, hosting about 50 delegates from 15 countries was one of the largest Australia had seen. At this time the Fellowship, founded by the other woman delegate – French born, English Educationalist, Beatrice Ensor in 1914 – had 51 national groups, including Japan, and published 23 magazines in 15 languages. The New Education Fellowship rejected discipline and drill methods of education. Rather it utilised ideas from Theosophy, Jungian Psychology and Psychoanalysis to stress the need for educationists to develop methods resonant with children’s’ developmental needs. The first session was held in Brisbane in early August 1937 before delegates returned to Sydney to convene from 9 to 16 August. The Conference then continued in Canberra from 18 to 21 August – an interlude before moving onto Melbourne for another strenuous period. Then it was to move onto South Australia and then Perth where Professor Robert Cameron was organising the event. The Federal Government underwrote the conference to the tune of 1250 pounds. Isaacs combined her official visit with the opportunity to visit her sister in Sydney. It is clear, through perusal of newspaper reports of the Congress that Isaacs’s lectures – given at each port – were well regarded, attended and reported in each of the states. What is of interest is the differences between the east, where clearly Isaacs was the guest of women’s organisations such as the National Council of Women in Sydney and the West – Adelaide and Perth where the organising committee was largely drawn from the University of Western Australia as well as the Educational and Maternal and Child Health Sector. Isaacs referred to the enormous field covered by child psychology and the many intricacies of the subject.. There are many schools of thought in” child psychology and she stressed the need for a ‘balanced view-point and the danger of adopting a method of child training that was partial and extreme’. Confining her remarks to the method.of dealing with the child under six or seven years, Dr Isaacs said that difficulties encountered in children in the form of temper were quite natural. In America, two groups of children had been studied from birth up to six years of age. One group had been referred to a child clinic, and the other not, but in both instances the same tempers and fits of screaming had been manifested. The displays of temper are caused by the intensity of feeling in the child – his unrestrained love and hatred – and as the child grows the difficulties become less intense. For Isaacs – and the other delegates – there were luncheons in Sydney, lectures in Adelaide and at least one interview, urging that educationists linking play and emotional development with education and learning, published in the Melbourne newspaper, The Argus. In South Australia the advent of the Conference coincided with the announcement by the Council of Mental Hygiene to establish an Institute of Medical Psychology and Child Guidance in Adelaide. It was to be located near the Hospitals, the Children’s Court and the Education Department – and would employ psychiatrists, psychologists and social workers. Again, the popularity of Isaacs’s lectures was marked. She spoke to packed auditoriums, her message: ‘the importance of understanding the mentality of children during the first two years of their life. The essential needs of the child, she said, were love and a feeling of security’. Remarkably as South Australian audiences noted, Isaacs issued a challenge to the theory that a child had no mental life before the age of about two years emphasising both the importance of motherly love for the understanding of the child mentality and the vital part those early two years played in later life. These lectures provide a glimpse into the state of infant research and infant observations in the pre-war years. We learn from reading press commentary, from noting off the cuff remarks and explanations about research into the mental life of infants prior to WW2 and Esther Bick’s development of Infant Observation Seminars at London’s Tavistock Clinic a decade later. Announcing plans for her attendance at South Australian leg of the conference a the editor of the Adelaide Mail wrote, ‘One of Dr. Susan Isaacs’ strong con victions is that in order thoroughly to understand the child we must observe him under conditions in which adult interference is reduced to a minimum’. At the Conference proper, Isaacs stressed infant subjectivity: ‘A baby fed in a “stiff institution manner’ with a bottle lost a rich emotional experience which affected its after development’. Research amongst delinquent girls was revealing a common experience of lack of love and affection during the first two years of life. It was during this period she continued, that the maternal infant relationship was central to the child’s intellectual and emotional development. The lecture was also summarised by a reporter for the West Australian a week later. Briefly tracing the course of infants’ mental growth and explaining the difficult ties met with when trying to understand their reasoning, Dr. Isaacs stated that a baby learnt by its own spontaneous efforts which took the form of play starting as early as the second month. Baby should, therefore, be given ample opportunities for play. In the same way speech developed from the first playful sounds until the child began to distinguish familiar and oft-repeated sounds, which we called words. The emotional development of the child was the next consideration. During the first two or three months baby’s feelings were complex and were expressed by sounds. During the first two months any strong effects-bright lights, loud noises, etc.caused discomfort. but after this such things attracted attention until by the end of the first year the causes of pleasure outnumbered those of discomfort. Another interesting change, which occurred at about five months, was the cause of crying. Up to this time baby cried chiefly because of physical unhappiness, but after this age social pleasures and displeasures came into the picture and baby would cry, for instance, when mother left him alone, or because he wanted to sit up and could not manage it. A child’s smile was another signpost of its mental process, Dr. Isaacs continued. Up to the age of 20 weeks the average infant would smile at anyone while from that age until about 40 weeks old they would smile only at intimates, after which they seemed to grow more delicately discriminating and smiled at those they considered deserved the honour. There was more. The reporter continued: Dr. Isaacs traced the causes of feeding difficulties, which were often bound up with a child’s emotions and fear of its own early biting instincts. Parents should recognise the amount of learning a child had to do, and introduce new foods and new methods of feeding slowly. Dr. Isaacs did not advocate forcing a young child to eat what was dis tasteful to it, the difficulty usually being overcome by presenting it in a different form. 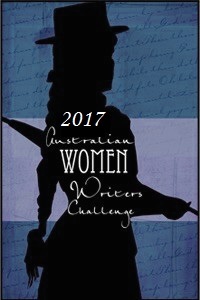 The challenge now is to discover whether and how these ideas were developed within Australian culture. Perhaps not at all. And indeed it was not until someone from Europe, in the form of the first Training Analyst, Clara Geroe both arrived from Europe and stayed to develop her work that a space was created for the development of these very rich ideas within an Australian context. 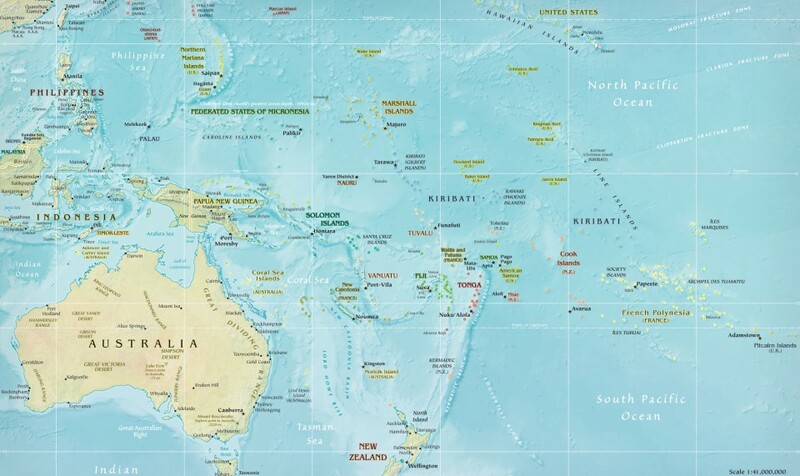 Isaacs’s visit occurred during a period in Australian history when England and Europe were regarded as Home; where scholars and professionals travelled for the education they would bring back to the Antipodes. The role of the visiting scholar is far more problematic: evoking idealization on the one hand and, may be envy on the other. 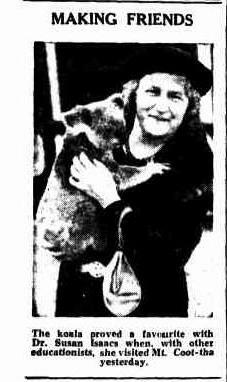 The Argus ( Melbourne) 3 September 1937. Canberra Times: 12 August 1937; 20 August 1937; 25 August 1937. West Australian: – 11 September 1937; 20 September 1937. Advertiser ( Adelaide) 26 May 1937; 6 September 1937. The Mail ( Adelaide) 3 July 1937. Sydney Morning Herald, 12 August 1937.